Not only you're not reading my things but you're also getting it somewhat personal,i'm not going to offend anyone here,so enjoy that side of the monologue. Of course, this have been a one sided conversation all along. Why do I keep getting replies? Figures. I had increasing forum membership and activity in mind and hence the suggestion. I never, at any moment, thought of it for personal gain. And was suggesting on the main goal of reviving the forums. If you really think I'm asking for more, then your imagination must be rich enough to direct a movie. =free stuffs are bad cuz RNG. Does that have anything to do with free things you didn't get cuz of a monthly raffle? not at all. Unlucky souls just try again,everytime a winner is decided there's 1 less person in the next competition,hence higher chance,you won,you let others win,that's how chance increase for those who really want it (which was already taken into account) saying that its bad isn't really right,unless you want it badly and rely on the giveaway,yeah that's bad. What did I not get from the monthly raffle? I won the 4th giveaway, so why would I be ranting about how unlucky I am? I am suggesting with the people who aren't as lucky in mind. I also suggested an alternative on the RNG based monthly giveaways so does that mean I am implying that RNG giveaways are bad? Again *slow claps. Much imagination. Such amazed. Also, just to make it clear, I did not in anyway state that I wanted to rely on any giveaway or wanted it "badly" as you implied. Please refrain from making unjustified accuses when you've barely analyzed what I said. Also, I admire the effort to search for definitions online and try to correct me as if I've used the "highlighted" words wrongly. It just seems like a desperate final ditch effort at a sloppy retort. "Beside,any amount is good for the prize ,giving bigger prize will get people to have more competition on it,hence less people winning than people winning (in %)." =change is needed, otherwise forums remain dead. There's more, but really I'm too lazy. Felt like I lost a few brain cells in the process. "P.S.2:throwing 2cents and asking for 20bucks is not cool yo." Contradictory even on your P/S. Whatever your assumption maybe, I see no reason to adjust the situation to my own benefit since I have most of the things I want in game already. And If by 20 bucks you mean the forum population and general activity. Then I'm sure you would enjoy winning the giveaway every month if Ben doesn't set any restrictions. WHICH IS WHY I THINK WE NEED ANOTHER REFERRAL EVENT. I think it would be a good idea to adjust the reward. It is unfortunate, but CLOSERS is a game that really doesn't give a gigantic advantage to cashers so some people may not be attracted to cash item at all. I think it would be good to give them the option to pick whichever they want out of three options: Credit (20mil), NX only(20k), NX (10k) + Account. It would be a good idea to make a post on News whenever a give-away begins, because it seems most people don't even realize there's a giveaway happening. I don't think it's good to give away prizes like candy on Halloween, it kinda drops the value of it. Remember, gamers are all masochists like competition. When they work for the reward, they'll appreciate it a lot more. But let's not forget that AoS currently exists well. BUT, NOT YET. AoS is a 4v4 thing and will soon be pushed into one lane, so maybe this would be better after we get some activity back onto the forums. REFERRAL. WE NEED ANOTHER REFERRAL EVENT. THERE NEEDS TO BE RANKING FOR THIS, AND MULTIPLE WINNERS. That way, people won't be disheartened when they see that they have to beat #1 or get nothing. That way, we could get more people onto this forum, AND provide an account for them (or their friend) to play the game! We should also produce a small article about Closers so referrers have a better chance of recruiting friends/followers/etc. to play Closers. Then we should also ask people who play Closers and are popular on various social networks (Like NaviWolf on tumblr, Kleine on facebook, etc.) to help spread the word (ofc they can use their own referral link) and make a post in News section about the give-away as well. and i appreciate all the comments, it does give me a vague better idea of how to more changes. and keep on thinking guys we need some complete events format so i can put it in place after i hand out the prizes for the winners from last give away which is this Friday. (05-06-2015, 09:16 PM)InfiniteSummer Wrote: Not only you're not reading my things but you're also getting it somewhat personal,i'm not going to offend anyone here,so enjoy that side of the monologue. 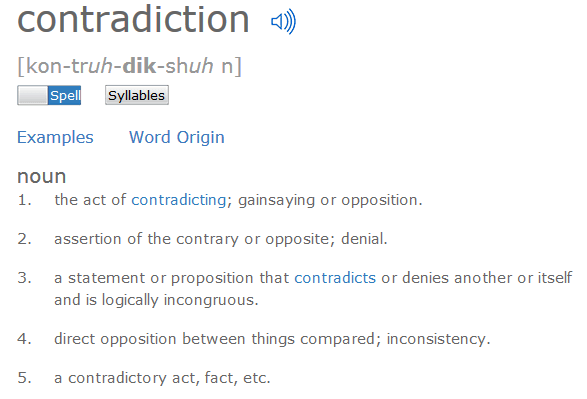 Wow,doesn't feel like you know what contradiction means even after showing it to you? Sure,guides might require effort,do they require more effort than the wiki editors? remember that they do it without any profit,they still do it,if you make a guide,you make it for the sake of helping others,not for the reward (if any) asking for more is the bad thing here. Not as if closers have a lot of mysteries at the first place,you're not gonna search anywhere,if you make a guide,you make it based on your current knowledge. I also rather guides being judged by how effective they were on helping others than how fancy & detailled they are,i rather see a guide that helped many get rewarded than something fancy that no one will ever care about. My imagination? how about yours? you keep trying to make me look like the bad guy even if all i did was criticizing your own critics? "The forums are at the edge of dying" <-"because ben didn't give people enough,he must give more"
The forums are dying because the game is dying,the forums are related to the game,not ben. You're not fixing anything by asking for ben to give more just for others to stay. Also,asking to split the 10k NX to half will not help,most people there are just trying to get an account,if you are making it so that its 5k NX giveaway only,good luck with increasing the competition. 1-Stop blaming it on anyone for the forum being innactive on the last month,(especially on me as if i took that opportunity to win,srsly,stop it) the forums were dead because the game itself was dead you won't fix the game by giving freebies,ben is not naddic to remind you. And how come first you say "we hate RNG" then "there must be more competition"?????????????????????????????????? Yeah,if that's not a contradiction,then this is not a forum. If you are trying to invite people to play the game and join CHQ,that's another story,people like gin would still have less luck if the community keep increasing everyday for the sake of giveaways and not the damn game. Making the forums alive =/= give more things,get this in your mind. Again,don't blame the "low amount of people competiting" for it on ben or the forums,its the damn game ,if people aren't interested in the game,they don't care about the raffles,simple and clean,remember that on the last giveaway (that you hate so much) there was 2winners,AMONG 3,there was a leftover prize that no one got because not enough competition,and not 3winners among 3. Yeah,the prizes depends on the amount of people on our community,does that mean there's something complicated in the game to deserve 20$ reward as a guide? i don't think so,rewards are just encouragement,i can make better guides and get nothing for them and i won't complain unlike you. Lastly,the forum's revival is naddic's own decision,do you even see most of the staff around lately? its been at least a month since i saw casey himself,is that because ben wasn't giving enough money? lolnope,its the game that wasn't interesting on the past months,i'm not satisfied by the current situation of the giveaway,but it had to happen once,naddic promised updates on this month & the next one (hence even people started coming back just for plane gate & PNA) if you think the forum will go alive from ben giving stuff and not the game becoming more fun,then you are wrong as HELL. If i would feedback on a giveaway,i'll say anything but "GIVE MORE" remember its a giveaway,when you do something,you don't do it for the giveaway,the giveaway is a bonus,your work doesn't worth anything,if that's the case for you,the wiki editors are more of reward worthy than any person making guides around here. I don't know why you took this personal/start mocking/accusing/attacking me,but i'll keep the promise i made on my very first post in this forum and stop replying to this topic,have fun with your ideas and accusing those who won. Yeah,i find it sad how even if you respect someone when replying to him,he still accuse you,mock you,attack you,or even do his best to make you look like the bad guy in all of this? Wow doesn't feel like you know what contradiction means even after showing it to you? I think the one who's mistaking the meaning of contradiction all along was you alone. When most of the things you imply opposes what you say and what the purpose of this thread is about. You are already caught in the loop. You have cleared nothing so far and haven't in this post either. And herein lies the problem, you read my posts with your own rage filled goggles and have not took in what I mentioned one bit. Let me put it in simpler terms since it seems like you have trouble understanding things. I said guides are usually made without profit in mind, Noone asked for more, it was just an idea. If Noone wanted to apply it, it's fine. At least I contributed to the brainstorming. And again, super contradictory towards the purpose of this thread which is to increase forum activity when you suggested to do it for free and implying that I am asking for more is contradictory in itself given it does not have to be applied at all. I see you getting more butthurt than Ben himself when you don't even own his money, what are you trying to control how he spends his money? Again, contradictory when you said it was me wanting to tell him how he spends his money when it was just a freaking idea. And did I even imply for guides to be fancy looking and in itself not helpful at all? I stated that it must be in good quality in all aspects. I question your ability to read properly tsktsktsk. Hah, again contradictory in itself since the forum activity has been this way for the past 2 months when the game was still alive and Lumi or the international community was still active. My idea was for forum activity to increase and members to stay. Not remaining the same so every month we have the same giveaway winners. Then why were you even bashing my idea in the first place, since my idea was to encourage giveaway competition instead of personal gain? Oh, you think that if the prize was 20k NX I would win definitely cause I suggested more then I can win more for my own selfish reasons? What a superficial way of viewing things. Not all people needs or wants an account. And I can say that most people already have them, all they need is some incentive to enter the game or take part in forum activity. Joining an RNG where you know you might lose is not encouraging at all. Splitting it to 5k in the end of the day makes them know that they will actually be getting something if they post and stay active on the forums. I even suggested 10k or an account if it was not enough. But then again, it's just an idea. It's just an idea. It's just an idea, sigh. I am not blaming you or anyone for their inactivity for the past month, I'm just stating that if situations remain the same activity is going to remain the same. Why do you have to be so sensitive and relate everything towards yourself? But I have to say I am absolutely amazed at how you interpret things and that in itself I can judge how you really are in person. I did not in anyway contradict myself because, in simpler terms. Nobody likes RNG, everyone wants to win, so if the prize is high, they wouldn't mind taking part because if they win, they actually feel like a winner. Would you take part in a lottery with a prize of just 10 USD? Oh I'm sure you'd go out of the way to drive to a shop just to enter a lottery for free. Logically no one would because it's just measly 10 dollars, unless they already included you in it for you when you made a purchase at their shop, which MOST stores are doing right now if their prize pool is measly. If you would, that's because you are trying so hard to prove me wrong. Food for thought. So you're saying, ben constantly gives out NX and the forum members/activity stays the same, again contradicting the point of the thread and change he wanted to make? So, in the end the members stay the same, activity does not change but everyone gets to win. That in and of itself beats the purpose of having to choose winners for giveaways in the first place. Ben could just distribute NX to all the people in the forums and not need to waste the time to host further giveaways for months to come and the outcome would be EXACTLY the same. Such a simplistic mind you have. In order to entice more people to participate and join in forum posting, more amount/giveaways are needed because at the current state, NOTHING has improved thus far. Therefore, Making the forums alive = give more things, get THIS in your mind. I am, had not and will never blame anyone regarding the situation. I have already repeated this several times and it seems like you never get it. Again, you're pointing that I am blaming a certain entity. But I'm just giving an idea of what changes had to be done if you ever want to see more people participating in giveaways and forum activity. If you don't want things to stay the way they are then keeping it at 10k NX isn't solving anyone's problem. Again contradictory. I have seen games that aren't updated and are in worse condition than closers but filled with an active unofficial forum without the need for a giveaway. It just depends on how you handle forum policy and requirements but that's a completely different story. So now our forums is under Naddic? *slow claps. If you think forum activity would bloom again if closers becomes the best game all of a sudden then you are wrong as HELL. I am at a loss of words, your intelligence is unsalvageable. "Giving more" was just an idea, not a rule that ben must apply held at gunpoint. How many times must I repeat it for you to understand? It seems the only standpoint you have against me is "I am blaming Ben for low NX count and Ben mus giff moar hurdurr." that's all. That's basically everything you have ever said all this while summed up in a sentence. You don't see me accusing Ellie of winning or Gin winning the latest giveaway even though it's by default. You brought this upon yourself, it was an idea and I warned anyone that it's a take it or leave it thing. An idea NOT A RULE. You, did not have the intention of respecting me when you ignored my take it with a grain of salt warning. Contradictory very much. All these comments are very helpful, i think i got some more ideas of what i should make the future events into. If you guys have more ideas pls come forward. for random event: when this place get bigger, i will sponsor some art contest. "coktease with some GTX980s cards"